There are times when the idea of forgiveness seems unfathomable. What good would forgiving someone for some heinous act do? Often, the need to seek vengeance outweighs the need to grieve and forgive. Time and time again we have seen specific groups of people blamed for the actions of a few. However, is it possible that forgiveness has the potential to start a butterfly effect of peace and mercy? 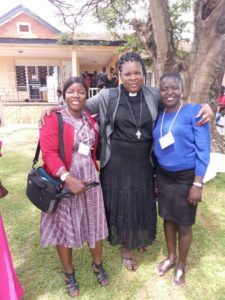 Joice Jaka, United Methodist women’s president of Uganda and South Sudan. Joice Jaka, a Sudanese refugee living in Uganda and president of the Uganda/South Sudan United Methodist Women, recently attended the Great Lakes Initiative’s annual Leadership Institute on Christian Reconciliation. This year’s theme focused on refugees, displaced persons and migrants. Harper Hill Global and GLI partnered to provide her with scholarships so she could attend this conference. 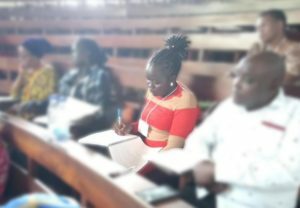 While her story is a heartbreaking one, Joice continues to hold on to her faith in God and believes that peace and forgiveness go hand in hand. Joice comes from an area that has been dealing with civil war for the last five years. Violence between the government forces and opposing groups have caused severe problems for the civilians living in the area. Millions of people have been displaced from their own communities. Sadly, Joice’s story is not uncommon, as many people from this area have experienced this kind of heartache. In 2017, I lost a brother in Yei, South Sudan. He and five others were burned alive on their way back home after trading goods to buy food for their families. I can’t forget that picture, even today. We could not identify the body of our brother among the others. It was so traumatizing. It was so painful to lose him. He left behind seven young children and a widow. It feels like we lost him yesterday. Right now, there is no one to take care of this family. There is so much agony in the hearts of his wife, children, and loved ones. To forgive perpetrators of such an act is something that only God can do. Attending the Great Lakes Initiative made me realize that I was not the only one in such a situation. So many people in different countries have faced even worse than we have. I have received encouragement, been taught to let go, to forgive – and most importantly – to share these gifts with my family. This way, we can move forward rather than holding resentment against these perpetrators in our hearts. I have taken the personal initiative to speak at my church to share the lessons I learned. I have also already been invited to speak at Grace Home, a children’s home, to share with the residents and staff all that I received from the GLI. Grieving is necessary: In the midst of conflict, temptations, and problems, it is okay for us to lament. We are allowed to grieve. Grieving brings healing to our lives, but we should remember to never lose hope and trust that God will answer our prayers. We should work together to rebuild our nations: Having faith while being a displaced person can be difficult. We are not called to destroy the people we think are our enemies while in exile, but instead we should very carefully write down plans to rebuild our nation just like Nehemiah did for the Jews. Be the microphone of Christ: As leaders from different walks of like – regardless of religious denomination, government, and community – we are called to promote reconciliation. It is the mission of the church. While Christ is the microphone of God, the church is the microphone of Christ. Joice mentions that people are living in communities where certain people and tribes are blamed for contributing more to the conflict in their nation than others. This is done without realizing that everyone should embrace their mistakes and acknowledge – that in one way or the other – everyone is the reason the conflict is continuing. Therefore, they should embrace their mistakes, repent, forgive and reconcile with one another, so that they can truly rebuild their nation. In the midst of conflict, Joice and countless others have faced so much suffering and pain from the loss of their homes and loved ones. The fact that people are forced to uproot their lives and leave their homes to find safety in another country is not only difficult, but painful. Many people begin to grieve, question their faith, and blame others. If God truly exists, why would he allow his people to suffer? However, while grieving is a necessary step in the healing process, one must not forget about, or lose trust in, God. While the disagreements and disputes with one another continue, Joice encourages people to pray for the Holy Spirit to give them the ability to forgive those who have done wrong. When forgiveness is present, true reconciliation happens. Then, the butterfly effect of the true peace and forgiveness of Jesus has the potential to wash over hearts, families, communities, and nations. As Christians, we are commanded to forgive one another, just as we were forgiven. Everyone plays a part in peace and reconciliation. When one can acknowledge the pain they have and decide that this pain no longer defines them, they discover the ability to forgive and become an example of peace for others. During the conference, Dr. Celestin Musekura of the African Leadership and Reconciliation Ministries shared with the audience that he is offering scholarships to the same people who murdered his family. How many of us could think of doing something like this for someone who caused so much pain? Without forgiveness and mercy, there is no way to move beyond such a tragedy and be an agent of peace and reconciliation. We can all gain something valuable from Joice’s story. Her incredible strength and determination to be an agent of peace give her the potential to impact many, many people within her country and beyond. Many of us find it difficult to forgive someone of something miniscule, however, Joice’s faith allows her to be a beacon of light even when she has been through some very dark times. 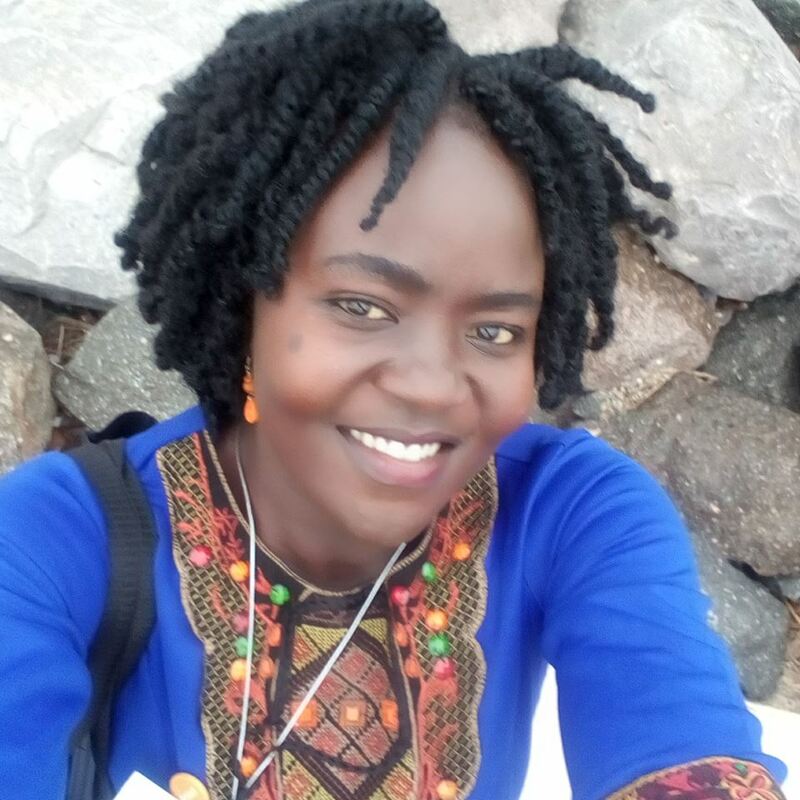 Joice hopes to have the opportunity to present her message to people throughout her country and others. Maybe, if there were more people like Joice, who could find it in their hearts to forgive instead of seeking vengeance, conflict in the world would become a thing of the past. You can help Joice with your prayers and offerings. If you would like to help equip Joice with a Virtual Classroom to help others like her at the Rhino Refugee Camp, donate to Women Arise now! Such a message in times as globally, society is tilting one way or another. Near panic is a global perspective. Where is our grounding? As we embrace the orphan we sense a community spirit evolving! This dear sister’s story is a story we can resonate with for she she Hope. She moves forward. Thank you as you heal, your healing is coming by teaching Hope.